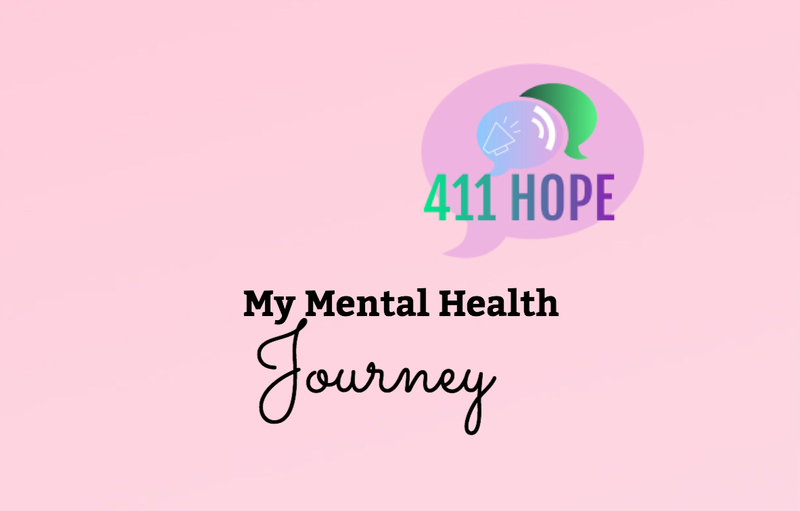 Today I am going to share a little about my personal Journey with mental health. 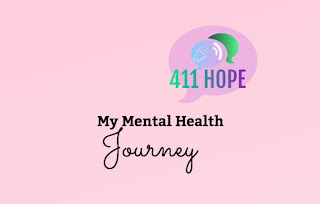 I’ve suffered mental health for as long as I can remember! I don’t recall remembering a time where I wasn’t dealing with mental health struggles. As someone who has had abuse in their childhood, I definitely have first hand experience with the long term affects of childhood abuse. (We will not be going into the details of childhood abuse though). I also went through bullying my entire school life. All through school from kindergarten to grade 12, I was bullied. Not always by the same person, but I always had a bully in school. Obviously Elementary and middle school bullying are a lot different then high school, but it still has an affect on people. I was a sensitive kid growing up (I still am at times) it’s just who I am and there is nothing wrong with that. However, being sensitive made me such an easy target because things would upset me easier then they would other people I knew. High school is when everything seemed to get the worse. The bullying, and then my mental health really sparking up. High school was when they major name calling began (I’m sure you have an idea of some of the words used). This is when I began to self harm to deal with the pain I was feeling. I wasn’t someone who knew how to stand up for myself - but I knew how to stand up for others, because I didn’t want to see people hurt the way I did. Actually, the person who began bullying me in the ninth grade began to after I had stuck up for my friend and had told him to leave her alone. The next day after that, I was the targeted one. The bullying really started to mess with my mental health badly. I was having a harder time to sleep, which meant I was staying up wide awake a lot later, making the mornings hard. My nerves and anxiety were bad in the mornings, because I wasn’t sure what was going to happen that day at school. Eventually I stopped eating breakfast in the mornings because I couldn’t eat without feeling sick after. It had gotten to the point, that there were days at school I did not want to talk to people. I couldn’t walk through the hall without feeling anxious and just feeling like everyone was looking at me or had something to say about me, so sometimes I would sit in the school library until class, or I would go sit inside the classroom of my next class by myself. I didn’t want to talk to people or let anyone know what was going on because I wanted to deal with it myself, that’s how I’ve been, I’ve always left my problems to be dealt with on my own. I would have suicidal thoughts, telling myself that everyone would be happier if I was gone, and that everyone was better off because I felt so useless and like a burden to friends, classmates, family. I truly didn’t wanna be around, and I believed that I was worthless and I believed all the lies from the bullies but also my mental health, the lies that these irrelevant people created. When I look back on those days, I wish I was able to ignore, and not be bothered by what they said. I always wish that I wouldn’t have let it get to me, and that I didn’t care but I did. I don’t anymore because I’ve grown and I’ve lsarned. Plus, there’s nothing someone could say to me today that I haven’t been told back in my high school days. I usually try and shrug off what people say, because I have learned that we aren’t going to make everyone happy. No matter what we do in life, there’s always going to be someone who tries to bring us down, but we need to do our best to shrug it off and move on, and do our own thing. The most important person you need to please.. is yourself. Do what makes YOU happy. Do things for yourself, don’t change for other people, don’t become someone you’re not, just to feel accepted. Truth is, if you need to change yourself for someone to approve of you, they aren’t worth your time, because real friends will love and accept you for who you are, not what you become when you change for someone. So don’t put the pressure and stress to change to “fit in” with society. Do your thing, live life your way, and those who love you, will support you. If someone doesn’t support you, then you know who’s fake. If you’re strugglig through school bullying right now, just know that you’re better than them. They are bringing you down, so they can look like they have it all together and that they are happy when it’s all an act. YOU choose wether they have power over your not. You can let them get to you or you can try your best to shrug it off and decide that you are NOT what they make you think. You are BEAUTIFUL! You are SMART! You are FUNNY! You are AMAZING! You are UNIQUE! You are absolutely wonderful and kind and they just hate they can’t be like you, so making you feel ugly and worthless and horrible and awful and making you hate yourself is how they thrive so they can be happier because they made someone more miserable than they are. Do NOT let them have that power over you! Love yourself! Things will get better. You are going to see happier days. There is a whole other life outside of school - this is not the end. You can do ANYTHING you set your mind to! Go live your life, know your worth, and nobody can ever drag you down. Thanks for sharing your story. It helps to know that someone else has experienced challenges with their Mental Health Issues.